Welcome to Peru! Upon arrival, enjoy a reception at the airport before your transfer to the hotel. After check in and dropping off your things, get ready for a half day biking adventure in Downtown Lima. Discover the most important buildings of the city in the Historic Center: the cathedral, the government palace, San Francisco and Santo Domingo convents, among others. This is truly a great trip through the time and history. This evening is yours to discover the local neighborhood or rest up for an exciting trip ahead. After breakfast and check out this morning, you will be transferred back to the airport for your flight to Cusco. You will be met by a representative at the airport in Cusco who will take you to your new hotel for check in. This afternoon, dive into the history of this charming city, an UNESCO World Cultural Heritage site and possessor of a style all its own. The tour begins at the Koricancha Temple, an old Incan palace and main center for the worship of the sun god, Inti. Once the Spanish conquered Peru, the Dominican order built a lovely church over top this temple’s foundations: the church of Santo Domingo, that is still there today. Your next destination is the Main Square, upon which sit the Cathedral, the beautiful Church of La Compañia de Jesus (Society of Christ), and other Colonial period buildings. The adventure continues to the Sacsayhuaman Fortress built of enormous stone blocks expertly shaped by the Incas. It is strategically located at the top of a hill overlooking the city of Cuzco. What a view of the city! The tour ends with visits to three archeological sites: Qenko, Puca-Pucara, and Tambomachay, important religious and administrative centers for the Incas. After an early breakfast and check out of your Cusco hotel, you will be driven until you arrive to Chequerek in the Highlands of the Sacred Valley for a Mountain biking adventure! Once there, view and test your bike and listen to a safety talk about the route with a specialist guide. After that, you will begin your trip on bicycle along a hilly track toward the experimental Agricultural Site of Moray and there you will have a short visit. The journey will then continue toward the town of Maras, then you will ride downhill all the way to the Salineras of Maras (Salt mines). After visiting the Salineras, we will have a 30-40 minute descent to Pichingoto in the Sacred Valley, crossing the Urubamba River, where a private bus will be waiting for you. You will be taken by private bus to your hotel in Sacred Valley, where you will have the evening at leisure. Today’s adventure is a full day rafting experience on the Urubamba River with Lunch. In the morning you will be picked up from the hotel and driven to the starting point in the Sacred River of the Incas, also called “Vilcanota or Urubamba”, where this great experience will begin. Hear a safety talk upon arrival and learn about the correct use of the professional equipment such as life jackets, wet suits, and helmets. Practice on the flat part of the river following the guide's instructions to ease your way into the river rapids with waves and small whirlpools at different points. After 2 hours approximately on the river, you will dry off and change clothes. Enjoy a traditional and well deserved lunch prepared by the local people! After lunch you will board the bus that will take you back to your hotel. This evening is at your leisure. After breakfast, you will be picked up for an unforgettable experience. Machu Picchu is by far and away one of the high points in world tourism, seducing hundreds of thousands of tourists every year. Your adventure starts onboard the Expedition train. After arrival to the city of Aguas Calientes, disembark and board a bus that drives you to the actual Machu Picchu archaeological site, where you will definitely have an experience you will never forget. In this tour, discover this new Wonder of the World and UNESCO World Cultural Heritage site. Enjoy an evening at leisure to relax and reflect on your day. Have an early breakfast at the hotel before check out. Today’s morning trip to Machu Picchu is on your own, with. no guide or bus. We strongly recommend waking in the morning to visit Machu Picchu and maybe climb to the top of Mount Huayna Picchu (2490 meters), Quechua for “Young Mountain”, on the eastern side of the Central Cordillera. The trail is steep and parts of it include several section of stone staircases carved directly into the mountainside. 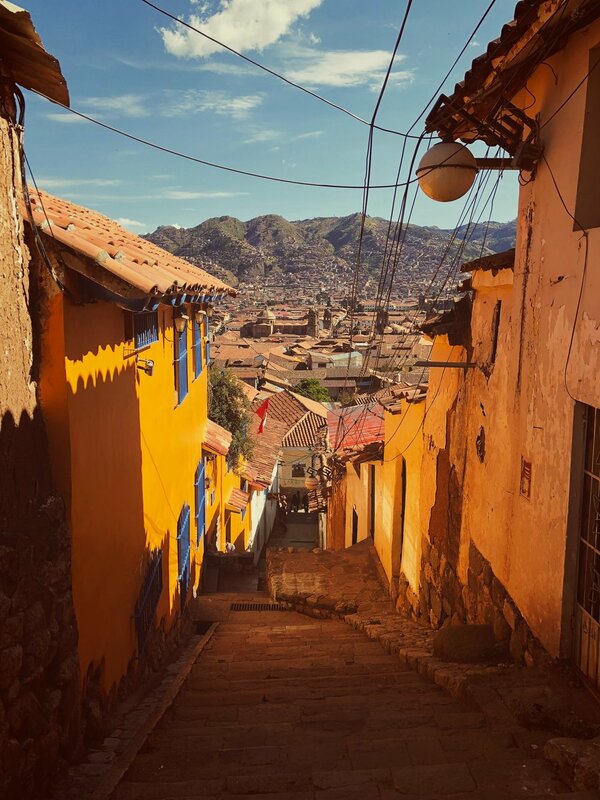 Later on, you will descend to Aguas Calientes and, board the train for the return Vistdadome train back to Cusco with a stop at the Ollantaytambo Station where you will be picked up and driven to your hotel for a night at leisure. Enjoy an early breakfast before check out. Today’s journey will take you on a full day bus tour to Puno. Leave from the station to start a trip by bus to Puno, with wonderful scenery to enjoy on the way. First visit will be to Andahuaylillas, a town where a precious church from the 17th century boasts an amazing organ decorated with angels and cherubs. After this, visit the Racchi ruins, known as "The Temple of God Wiracocha". The last stop before arriving to Puno will be La Raya, highest point on the road between Cusco and Puno which boasts excellent photo opportunities. You will be received by a representative at your stop in Puno who will transfer you to your hotel for the evening. Today’s trip takes you on a full day tour of Taquile & Uros Islands with lunch included. The trip begins early as you head out of the city of Puno towards Taquile Island, about 35 kilometers away and 3950 meters above sea level. The culture on the island is old, dating back to Pre-Incan times. The islanders still live according to the traditions and beliefs of their ancestors and are world renowned for their lovely outfits and incredible textiles. In fact, UNESCO has declared the textile art of Taquile Island as a Masterpiece of the Oral and Intangible Heritage of Humanity. Next, while still on the island, visit the community of Huayllano, whose members will show you their normal artistic, handicraft, and farming activities. Next, enjoy a box lunch before sailing over to the famous Uros Islands, a set of man-made floating islands in the middle of the Lake Titicaca National Reserve. Meet the islanders, hunters and gatherers and descendants of the first altiplano inhabitants, who still live on totora reed platforms. At the end of the trip you will be taken back to your hotel for an evening on your own. After an early breakfast and check out, your departure transfer will be waiting to take you to Juliaca airport for your connecting flight through Lima toward home. Enjoy some sightseeing along the way....On the way to Juliaca airport, your excursion begins on the Panamerican Highway southbound and, when you reach Km marker 20, your driver will exit and take the road that connects Puno with Juliaca. This is the route to the Sillustani archeological site, whose appeal is the tall, stone burial towers, some of which stand 12 meters in height and are 7.5 meters in diameter. And with lovely Lake Umayo in the background, it’s an experience you’ll never forget. Arrival and assistance in Juliaca Airport for your departing flight to your next destination.